We had big plans for Sunday, our rest day in Kochi city. We planned to go see the early morning Farmers Market, to visit the Kochi Castle, which is the main attraction of the city, to visit the Kochi Art Museum, and to visit the Manga museum featuring many talented young artists. When we woke up on Sunday morning, it was pouring rain. We had to admit that the sightseeing day that we had planned would not really give our feet the much needed rest that we craved. So instead of crisscrossing the city in the rain, we decided to hang around our upscale hotel and to use the hot spring Onsen, to rest, to plan our route for the upcoming week of walking, and to ask the front desk at the hotel to help us with booking our next few days of accommodation. With the help of a most caring man at the front desk, we booked an interesting array of accommodations along our walking route. There will be very simple guesthouses, a temple lodging (Shukubo) and an Onsen resort on the water with a very elaborate dinner set. After a very restful day, we decided to go out in the evening for dinner. The Asahi Nikko hotel serves a fantastic and very elaborate breakfast, but for dinner we wanted something simple. We wanted a small, quiet place, and I found on the Google map a tiny place that serves Okonomiyaki- a table-side cooked Japanese pancake that is mostly made with raw cabbage, eggs and your choice of shrimp or meat. We walked over there in the rain, and found it to be empty but for one family dining in it. We took off our coats and put our umbrellas in a bucket by the door, and sat on a small table with a large grilling plate at the center of it. The proprietor was an old man with a hearing aid. We ordered two Ebi (shrimp) Okonomiyaki, one of them Modan-Yaki, which means that it has some soba noodles grilled on top. The old man brought us stainless steel bowls with the raw mixture in it and asked if we wanted to prepare the Okonomiyaki ourselves. We said that we would prefer him to show us how to make it. He first mixed all the ingredients very carefully for a few minutes. Then he oiled the hot plate in front of us. He poured the mixture onto the griddle, making two circular piles, which he then flattened with a spatula. He added the cooked noodles and seared them with soy sauce. He flipped the Okonomiyaki over a few times, added the noodles to one of them, spiced them with powdered green unroasted Nori seaweed, and added the Okonomiyaki sauce and a little Mayo. Each person gets their own small spatula to cut the Okonomiyaki to bite size pieces. It is a simple dish, but it tastes absolutely delicious. We took the Bus from Kochi City back to Sekkeiji, Temple 33, where we stopped walking two days ago. Our commitment is to walk every part of the pilgrimage route, even if we take a train or a bus to get to our accommodation. We always go back to the last place where we finished walking, and continue on foot to the next temple. On the bus, an older lady sitting behind us, asked me if we were O’Henros San (Honorary term for Pilgrims). She said it is so hard and difficult to do and handed me a ¥1000 Yen note ($10). I refused it many times and insisted that we do not need it, but she insisted that it is an Osettai, a gift to pilgrims, and that we MUST accept it. I really tried to refuse the money. But she would absolutely not let me refuse her offering. Jules and I gave her our heartfelt gratitude and appreciation of her kindness. It inspired me to think…. Here I am, a wealthy woman who accepted money from an old retired lady on a bus, who lives in a small and very modest Japanese town, and who is probably living on a small retirement pension…. What is the lesson for me here?…..
Then I realized that it is all a matter of how you choose to see yourself. This woman did NOT see herself as an old lady with limited funds who is living modestly on her retirement budget. She saw herself as a kind woman with a generous heart who can afford to help pilgrims, who undertake many hardships in their search for Enlightenment. She sees herself as a woman who has more than enough to be able to offer help and express her compassion and support for our spiritual quest. In contrast, I have known many people who never really saw themselves as who they are. They became stuck somewhere inside themselves at a painful spot in their childhood, and they never grew to realize and truly own, other phases of their lives. I know a woman who was very poor as a child. She was often hungry, had no toys and hardly any clothing. Later in life, she had everything. A healthy and beautiful body, a husband who adored her, plenty of money, and young healthy children. But she never really owned her role as a beautiful mother and a beloved wife who took art classes and drove to the country club to use the spa and the pool. Instead, she always saw herself as that little girl who was hungry and lacking. Only when she grew much older, did she look at photos of herself and realize how beautiful she really was, and how blessed she was all along. This old lady on the bus obviously does not live in fear of lacking money in the future, or she would not have insisted on giving ten dollars to foreign pilgrims who do not even need it. It is a lot of money to just give away. When we reached the next temple, we said a prayer of gratitude for her well being and thanked her generous heart. We walked to Tanemaji, (temple 34) on small roads along a canal that was planted with colorful blue and pink Hydrangea. This Temple is known as the Temple of Sowing Seeds, because Kōbō Daishi planted five varieties of seeds at this temple when he built it. The surrounding area is very green and lush with fruit trees and other agriculture which are believed to be a result of the blessings of the seeds. Along the way, we bought packages of fresh cucumbers and mini tomatoes, from farm stands. They have honesty boxes where you deposit a hundred Yen coin ($1) and take a large package of super fresh skinny and long cucumbers, or a package of tomatoes. They had great flavors and were very delicious. The temple is a popular place for pregnant women who come to pray here for a healthy child and for an easy childbirth. Those women who have had their prayers answered, customarily donate bamboo water ladles to the temple with their bottoms knocked out. We saw those ladles hanging around the main deity sculpture. When a woman first finds out that she is pregnant, she takes a new ladle to the temple priest. He knocks out the bottom, places it on the altar, and prays over it for two days. The woman then takes the ladle home, and after a safe delivery, she brings the ladle back to the temple in thanks. From temple 34, we walked on quiet roads to Kiyotakiji, temple 35, located on the outskirts of Tosa City. During the last few kilometers we climbed into the forest up the slope of a small mountain. The stone path was very slippery from the waterfalls that constantly run down the mountain. Almost a century later, Kōbō Daishi visited the temple and practiced some austerities here. He was able to bring forth a clear stream of clean water from the ground, which still runs in the form of a beautiful waterfall right next to the temple. The water formed a mirror-like pond giving the temple its new name of “Kyōchiin Kiyotakiji”- A Mirror-like Clear Waterfall Temple. It is a beautiful temple, with a very large statue of Yakushi Nyorai Buddha. Yakushi Nyorai is a buddha who offers medicine to people suffering from illness, and grants nourishment to the mind and body. As a buddha who offers physical and mental healing, he is depicted as holding in his left hand a medicine container, often made of the precious stone emerald. This is why Yakushi Nyorai is also called Yakushi Rurikô Nyorai, the Nyorai of Emerald Radiance. In his right hand, he forms the mudrâ for granting people’s wishes. In this temple, I walked inside the base of a large Buddha statue. It was a very narrow walkway and I had to take off my pilgrim hat, in order to fit inside. After turning a corner inside, it turned completely dark. In the pitch black interior, I had to feel with my hands for curves of the path and lower my head because the space was very tight. I loved the darkness of the interior. My eyes could not see anything at all, yet it felt peaceful knowing that I was inside the Buddha…. Part of the grand Void….of the endless Emptiness…. Around the corner I came upon a small altar lit with candles, and then I was out again into the afternoon sun. At the Nokyosho office of the temple where we got our pilgrim book stamped, I noticed that a swallow had built its nest inside the office, by the ceiling. It had four almost-grown babies in the nest and it came inside every few minutes, to check on the babies. Along our walks, I have noticed swallows’ nests in people’s garages and balconies. Japanese people respect the swallows, allowing them to nest and often placing plywood or cardboard shelves below the nest, to collect the babies’ excrements, food scraps and feathers. On our way back to the city, we stopped to buy some apples and bananas. The friendly proprietor gave us an Osettai of cold lemon juice and wished us a safe journey. Today many people wished us a joyful journey and asked us to walk safely. Even school kids riding their bikes, blessed us on our pilgrimage. Usually teenagers are very self involved and not so polite and graceful. On the bus back to Kochi city, by sheer coincidence we met again Yumiko San, who was also finishing her walk and making her way back to her hotel. We suggested that we go to Starbucks together. Yumiko San is such a lovely person. She is a TV producer who lives in Tokyo. She is a really neat person, and Jules suggested that she might have been my younger sister in another life, which would explain why I feel such warmth towards her and why the Universe has crossed our paths already four times on this pilgrimage, each time with the most unlikely to happen serendipity. On our way to our hotel, we stopped in a pharmacy to buy some baby powder. We have been getting heat rash on our lower legs, right where our hiking socks rub against the skin all day. The pharmacy offered us a discount as an Osettai. It is the first time in my life that I have gotten heat rash. Normally, I cater to my body and its every need. If I am cold, I put on a sweatshirt, take a blanket or turn the heat up. When I am hot, I turn on the air conditioning, sit in the shade, have an iced tea or take a break. But here on the pilgrimage, I am not in control of my environment and we are pushing ourselves daily, like never before. There are long stretches of our path where there is absolutely no shade, nor places to rest. We cannot regulate the temperature of the air, except by the way we walk, so as not to exert too much body heat. Often we have to walk with no food or places to sit and rest. But I am really starting to enjoy everything. The rain and the sun, the strength that I feel and the lessons I am learning….. 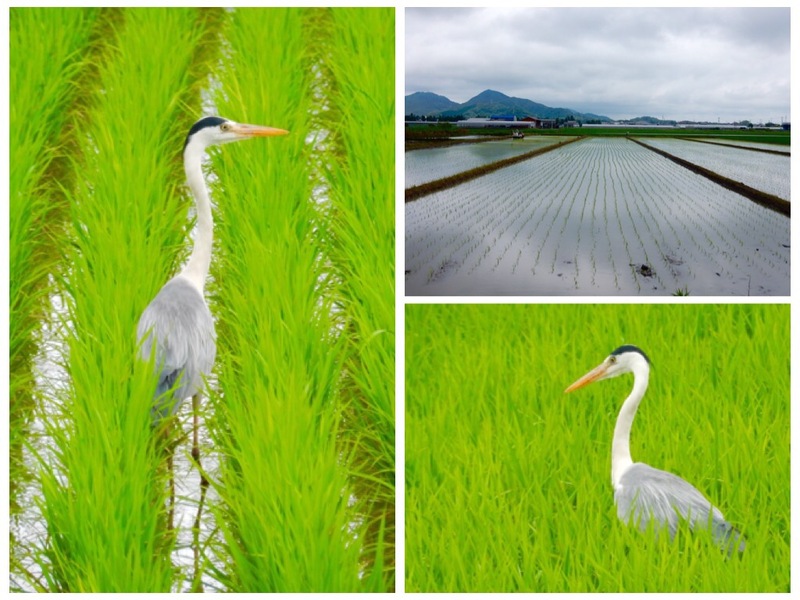 I find myself walking along the countryside of Japan, singing old Israeli songs to the birds and the trees…. If someone had seen me a few days back on the way to Cape Muroto, they might have thought that I was a crippled woman who was doing the pilgrimage in search of a miracle for physical healing. If they saw me again now, they might think that Kobo Daishi has healed me. All of my blisters have mostly healed and I am not limping at all, even though I walked today for 26 Kilometers and up a steep hill, and with hardly any rest all day long. It is a living miracle…. Jules writes: “I have also experienced very quick healing overnight so far on this pilgrimage, especially when we have stayed at accommodations with an Onsen. “I have been very touched during our journey by the thousand acts of kindness that have helped us along our way so far. Everyone we have met has gone out of their way to offer us assistance or just a kind word.